HEy everyone. I wish I was writing something other than this post today. I have unfortunately come to terms with the fact that I can know longer keep up with the demands of this blog. I'm just doing 50 million things at once at this time of my life. I am trying to get through Nursing school, working as a Barista at B&N, traveling to two different houses because my mom moved to the country, and also trying to keep up with my social life. Unfortunately, this is the thing I chose to cut out in my life. I am hoping this is a temporary thing. I hope I can come back after Christmas but we shall see. I really want to say thanks to all my wonderful followers! I really appreciate you all so much and have really enjoyed getting to know you. I also want to say thank you to the wonderful authors whom I formed special relationships with! To Die For Winner Announcement! Hey everyone! Hope you are having a great weekend! So sorry for the lack of reviews and posts these past two weeks. I have been really busy with work and school. Not to mention constant house work because we are in the process of selling our house which mean our house has to be constantly spotless because you never know when some one will want to see the house. Anyway, there will be new reviews coming very soon! Thanks so much for being patient with my absence. Email has just gone out so please send me your mailing address and I will forward it on to the publisher. When We Were Gods Giveaway Winner Announcement! Hey everyone! Happy September 1st! I don't know about you but I'm ready for Fall! Today I'm going to announce the two lucky winners of Colin Falconer's book When We Were Gods! So please help me congratulate the two lucky winners! Emails have been sent out so please respond with which version you would like to receive. Thank you, Taylor, for having me here to do a guest blog post! Recently I decided to self-publish my historical novel, The Sekhmet Bed, which is about a real woman from ancient Egyptian history, Queen Ahmose. She was the mother of Hatshepsut, the first woman to rule Egypt as Pharaoh (king). Hatshepsut was a prolific builder who left many beautiful monuments telling the story of her long and peaceful reign. As a result, she is well known to historians and is as well understood as a person can be who lived 3500 years ago. I have always been fascinated by ancient Egypt, and Hatshepsut holds particular interest for me. In 2007 Egyptologists identified Hatshepsut's mummy, and amid all the History Channel specials and news articles celebrating the achievement, my enthusiasm for the female Pharaoh blazed up. I became preoccupied with Hatshepsut, and imagined what her life must have been like as a child, as a young woman, and as a king. I decided to turn some of my imaginings into a novel, and found as many books on the Eighteenth Dynasty (during which Hatshepsut, among other kings, ruled) as I could. Eagerly, I started my research. Much is made in the history books of Hatshepsut's mortuary temple, and with good reason. Today it's known as Dier el-Bahri, but in the She-King's time it was called Djeser-Djeseru, or "The Holiest of Holies." It's well-named. The temple is a stunning work of architecture even by modern standards. It stands as regal as a sphinx in the Valley of the Kings, resting with its back against the towering red cliffs, harmonizing with the landscape. Inside it is a monument to Hatshepsut herself, recording her deeds as king, her life story, and even the story of how she came to be...or so she'd have us believe. Before the Greeks took power, Egypt had a remarkably progressive society -- one in which women could own property and businesses, enter into contracts on their own, serve on juries, vote, divorce at will, or live unmarried all their lives -- whatever suited them. Considering how the rest of the world viewed women in 1500 B.C.E., Egypt was the best place in the world to be female. However, a woman who desired to rule the country as a king still had to treat carefully. Hatshepsut took great pains in Djeser-Djeseru and elsewhere to shoehorn every possible bit of legitimacy into her claim on Egypt's throne. As I began to outline my ideas for a novel about Hatshepsut's life, I found myself more and more drawn to this lovely, intriguing mural. Obviously it was just political propaganda -- yet another surety Hatshepsut hoped to secure, another document to bolster her right to sit on the king's throne. But I couldn't help but think, "What if somebody really believed that Hatshepsut was not a girl at all, and was not only a prince in a princess's body, but was the son of the greatest god known to ancient Egypt?" And then I thought, "What if the one who really believed this was not Hatshepsut, but her mother?" Queen Ahmose, the woman who allegedly saw through the god's disguise and accepted Amun into her bed to create his chosen prince. This spark of an idea took off in my imagination like a wildfire. Unfortunately, there is not as much historical information about Hatshepsut's family as there is about the She-King herself. I could find only bare scraps of information about Queen Ahmose, where she came from, what her life may have been like. I did learn that she held, possibly only for a short time, the ceremonial title of God's Wife of Amun, a title that had been uncommon among queens for generations before she lived. What prompted her to take the title, and who bestowed it on her? Why? And, if she was to believe that Amun disguised himself to conceive a prince with her, what would make her so certain in her conviction that her child was half-god, and a son, not the daughter she appeared to be? Gradually my fictional Ahmose took shape in my mind and on the page. She had to be young -- young enough to be an inexperienced politician, and dually blessed and cursed with a gift for interpreting dreams and visions sent by the gods. And that conception had to be a big deal to her. After long thought, I decided to give poor Ahmose a bit of a traumatic experience to make her terrified of childbirth. This would make the divine presence of Amun in her bed all the more meaningful. And my Ahmose needed a foil, which I found in the equally mysterious second wife of Pharaoh Thutmose I. This lesser queen's name was Mutnofret, and as with Ahmose, there is hardly more known about her than her name. That gave me considerable leeway to mold her character into whatever I needed her to be in order to serve the story. In The Sekhmet Bed, Mutnofret is the elder sister of Ahmose, and is displaced as the primary queen. Her bitterness is a further challenge to young Ahmose, and soon the two sisters are locked in a battle to become the mother of the next Pharaoh. But I've never been much interested in villains who are only villainous. I did my best to make Mutnofret sympathetic while still being a formidable antagonist. It's fun to look back on the years I spent developing this novel and to think that it all started with that mural on the wall of Djeser-Djeseru. The mystery that surrounds Ahmose and her family left me with plenty of room to let my imagination play. I am fond of my fictional Ahmose and Mutnofret, I wish I knew more about the real Ahmose and Mutnofret who lived so long ago. Even in progressive ancient Egypt, women often fell by the historical wayside. But they are vivid in my mind, and I hope I've given them voices and faces for you, too. You can buy The Sekhmet Bed as an ebook (all formats available) at Smashwords.com -- click here: https://www.smashwords.com/books/view/84655 The print version will be available very shortly on Amazon.com. Follow my blog at http://lavenderironside.blogspot.com and you'll be the first to know when the print book is available. I am giving away an advance reader's copy (print), too. If you're interested, follow Taylor's instructions to be entered in the drawing! I hope you enjoy reading The Sekhmet Bed as much as I enjoyed writing it! The Sekhmet Bed - available as an ebook! Lavender has kindly offered up one copy of her latest novel The Sekhmet Bed. This giveaway is open internationally and it ends September 17th at 12:00 a.m.
-You must be a Follower of this blog through the GFC follower in order to be entered into this giveaway. -Please leave your name and email address in order for me to contact you if you are the winner. If an email is not listed then unfortunately you will not be entered. +1 extra entry for being a new follower of this blog. +1 extra entry each time you post this giveaway on twitter, facebook and/or on your blog somewhere. To count please leave a link in the comment section. 1. What inspired you to tell the story of Anne Boleyn through the eyes of Meg Wyatt? From a young age, we women are wired for friendship. Little girls link arms in exclusivity with one another on the playground. The most devastating betrayals during our middle and high school years often come not from boys but from the friends we thought loved us and in whom we'd trusted. So when I began to write novels set in the Tudor period I wondered, who were these Queens' real friends, those who would remain true in a treacherous court? Ovid wrote, "While you are fortunate you will number many friends, when the skies grow dark you will be alone." 2. There have been countless novels and non-fiction books based on the life of Anne Boleyn and her down fall. What drew you to tell her story once again and were you afraid To Die For would get lost amongst the other Anne Boleyn novels out there? I believe the Tudor era is what the publishing industry refers to as "evergreen;" it never completely goes out of style. There are always new readers, and those readers who have read quite a bit of the era, like myself, are eager for a fresh take. I think if it's the same story, retold the same way, it might be greeted with a yawn. But for me, as long as the point of view is fresh and I am captured by a new angle, I want to come along for the ride. I hope to provide that new angle and insight with each of my Ladies in Waiting books. 3. In the book Anne Boleyn and Meg Wyatt seemed to be the best of friends and would do anything for one another. Did this kindred friendship truly exist? Was there really a Meg Wyatt? Yes, there was! 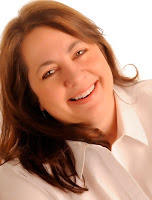 My research journey took me to Meg Wyatt, narrator of my novel, To Die For. I will quickly note that in my book I have switched the names of the Wyatt daughters so that the eldest is named Anne/Alice and the younger Margaret/Meg so that the story could be told without two "Annes" to confuse the reader. It began, as all treasure hunts do, with one solitary clue, an offhand comment in a Tudorplace.com.ar link that said that Anne Wyatt attended Anne Boleyn till her death, and that, at the end, Anne Boleyn had given her friend her prayer book, a very personal gift indeed, and just before her execution whispered something in her friend's ear. The Wyatt family is ancient and is able to be traced back many centuries before our story picks up with Henry Wyatt, father of my heroine Meg and her siblings, including poet Sir Thomas. 4. My next question kind of goes along with the last question. How much of To Die For is based on historical fact and do you ever find it hard to stay true to those facts while also trying to entertain your readers? There are a lot of different kinds of historical readers and writers, and each has their own preferences. My personal preference is to stick as close to as many known historical facts as possible, and then spin the fiction around those markers. I stuck with as much of Meg's life (as well as Anne's life) as I could find, and then fictionalized the rest. I tried, however, to make sure that all of the fiction "could" have happened, that is, it was true to the times. History itself is entertaining! It's the author's task to present and package it in a way that holds the reader's attention. 4. There is an abundance of information out there on Anne Boleyn and the rise of the Tudor court. How did you conduct your research for To Die For? Did you do anything differently in order to insure your novel would stand out amongst the rest? I did what I imagine most or all historical novelists do, go to primary sources, read as much nonfiction on the subjects as possible, and visit as many sites as I could. I also avoided reading any fiction set in the era during my planning and writing phases, so as not to be influenced by someone else's fictional conjectures. I think my ace in the hole, though, was that I engaged a wonderful historical researcher named Lauren Mackay who works with novelists among other talents. A flat document or a biography can't tell you if a plot twist is appropriate for the era, nor help you make corrections in titles, styles, language, or clothing, but a historical researcher can. Lauren can help field odd questions and has invariably read more in the period than I have by nature of her academic background. 5. Where do you do your best writing? In my office. I have a framed print of Hever Castle, and the Six Wives, and a large contemporary portrait of Elizabeth I. I slip on my over the ear headphones and off I go. I corresponded this year with historian Christopher Gidlow who has an office in the Tower of London. I admit to a little envy! 6. I learned from your website that you have delved into many different genres of writing such as Teen, Adult, and nonfiction. Which genre do you enjoy writing in most? Do you think that by being able to write in different genres has made you a better writer/author? I like writing in them all. I don't know whether or not it makes me a better author to write in many genres, but it does help keep me interested. When I am glutted of one approach, the other beckons. And then when I finish that project, I might switch to another genre. I think the most important thing that makes people better authors is to read, write, and continue to be well edited. 7. Who is your favorite historical figure…man or woman and why? In this era, the ones I admire the most were those who courageously, but gracefully, stuck to their principals. They would include William Tyndale, Thomas More, Katherine of Aragon and of course, Anne Boleyn and Kateryn Parr. 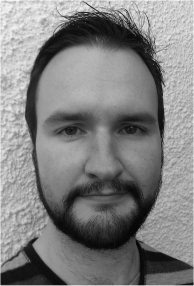 John Rogers, Meg's nephew, would die during Mary Tudor's reign. I admire Anne Askew; she appears in my next book. And of course, I love Elizabeth I. 8. Last but not least, what can readers expect from you next? There will be two more books in the Ladies in Waiting series. The second book, The Secret Keeper, takes place during the queenship of Kateryn Parr. She was a strong woman, given to the reformation, and a best-selling author. But she had a soft spot for a bad boy and it led her, and those under her care, into trouble and distress. I hope readers will find a deep, witty, and nuanced Parr in this book with perhaps a surprise ending. The third book in the series will take place in the court of Elizabeth, and will be told from the point of view of one of her ladies. We often hear about Gloriana, her power and amazing intellect, but not as often about Elizabeth's softer side as it intersected with her friends and her loves. Elizabeth was loyal but could also be a tempestuous friend, which made being her lady in waiting a bit of a balance walk and dangerous in its own right. What would you sacrifice for your best friend? Would you die for her? Meg Wyatt has been Anne Boleyn's closest friend ever since they grew up together on neighboring manors in Kent. So when twenty-five-year-old Anne's star begins to ascend, of course she takes Meg along for the ride. Life in the court of Henry VIII is thrilling...at first. Meg is made mistress of Anne's wardrobe, and she enjoys the spoils of this privileged orbit and uses her influence for good. She is young and beautiful and in favor; everyone at court assumes that being close to her is being close to Anne. But favor is fickle and envy is often laced with venom. As Anne falls, so does Meg, and it becomes nearly impossible for her to discern ally from enemy. Suddenly life's unwelcome surprises rub against court's sheen to reveal the tarnished brass of false affections and the bona fide gold of those are true. Both Anne and Meg may lose everything. When your best friend is married to fearsome Henry VIII, you may soon find yourself not only friendless but headless as well. A rich alchemy of fact and fiction, To Die For chronicles the glittering court life, the sweeping romance, and the heartbreaking fall from grace of a forsaken queen and Meg, her closest companion, who was forgotten by the ages but who is destined to live on in our hearts forever. 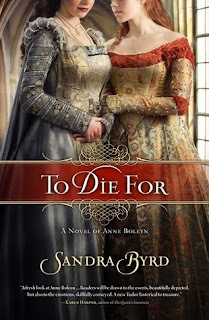 I have one copy of Sandra Byrd's book To Die For up for grabs! This giveaway is open to the US, UK, CAN, AUS and NZ! It ends September 7th at 12:00 a.m.
Book Source: I received a copy in exchange for a fair and honest review. Synopsis: To Die For, is the story of Meg Wyatt, pledged forever as the best friend to Anne Boleyn since their childhoods on neighboring manors in Kent. When Anne’s star begins to ascend, of course she takes her best friend Meg along for the ride. Life in the court of Henry VIII is thrilling at first, but as Anne’s favor rises and falls, so does Meg’s. And though she’s pledged her loyalty to Anne no matter what the test, Meg just might lose her greatest love—and her own life—because of it. 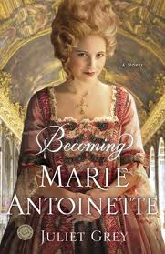 Review: When being asked to review this book I must admit I was a little hesitant in saying yes because the first thought that crossed my mind was “Here we go again, another Anne Boleyn novel. 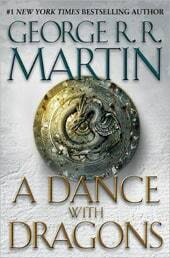 It’s going to be the same story but a different author.” However, I was pleasantly surprised that although it was the same story of Anne Boleyn it was told in a completely unique way. What made this novel unique and refreshing was how Sandra told Anne’s story through the eyes of her best friend and confidante, Meg Wyatt. I absolutely loved Meg’s character! What drew me in was her constant struggle between her love for the hansom Will Ogilvy and her devotion to Anne. Meg was in love with a man who believed he had been called by God to help translate and print the first English version of the Bible, which was considered heresy in the eyes of King Henry VIII. What I loved most about this book was how Sandra truly made this story her own. She captured another side of Anne Boleyn that most people refused to believe about her. She painted a beautiful picture of Anne as being a strong confidant woman who happened to fall in love with a man who had narcissistic behavior, which caused her downfall. Sandra’s new rendition of this story made me fall in love with Anne Boleyn all over again. I enjoyed getting to know Meg Wyatt and her struggles through life. This is a remarkable new twist on Anne’s story and I enjoyed every minute of it! Highly recommended to all Tudor enthusiasts out there! If you would like a chance to read Sandra Byrd's novel To Die For make sure you stop by tomorrow for a chance to win a copy! Book Source: I received a copy from the publisher in exchange for a fair and honest review. Book Synopsis: Ann More, fiery and spirited daughter of the Mores of Loseley House in Surrey, came to London destined for a life at the court of Queen Elizabeth and an advantageous marriage. There she encountered John Donne, the darkly attractive young poet who was secretary to her uncle, the Lord Keeper of the Great Seal. He was unlike any man she had ever met—angry, clever, witty and, in her eyes, insufferably arrogant and careless of women. Yet as they were thrown together Donne opened Ann’s eyes to a new world of passion, and sensuality. The Lady and the Poet tells the story of the forbidden love between one of our most admired poets and a girl who dared to rebel against the conventions of her time. They gave up everything to be together and their love knew no bounds. My Review: Until this book I had never heard the romantic love story between the poet John Donne and Mistress Ann More, which made this novel such a refreshing read. I love reading new novels where I’m unfamiliar with the historical characters and their stories. It makes me feel like I’m being taken on a new adventure and it’s not the same adventure I’m used to being strung along on. I thought the characterization in this book was fantastic! I could really connect with just about all the characters in this book, but I especially related to Ann. She is not your typical young maiden during the 16th century. She was a spirited young girl who absolutely loved to read and had a passion for learning. She wore her heart on her sleeve and she had no difficulty speaking her own mind in order to prove her point. It was so sad how her only confidante was her older sister Mary who was always so wrapped up in her own issues that she hardly had time to worry about Ann’s. I loved getting to know Master John Donne and his forbidden romance with Ann. Ann was 12 years his junior and she could not help but fall head over heels in love with him and with his witty almost scandalous poetry. They both knew her father was a social climber and would never allow them to marry because Master Donne was a reformed Papist and wasn’t high born. They went through great lengths to see each other even when her father found out and removed her from her uncle’s home. Their love for one another new no bounds and nothing could prevent them from being together. Final Thoughts: I fell in love with everything about this book! I couldn’t put it down! It had sort of a Romeo and Juliet feel to it in some ways and I’m such a sucker for forbidden romances. Maeve Haran is an excellent writer and she really knows how to draw her readers in and keep them entertained. I don’t think I was ever bored at any point, which is a major plus. I’m definitely looking forward to reading more of her novels in the future. The Lady and the Poet is highly recommended to everyone who loves a good forbidden love affair. It’s definitely one to curl up by fire with! Hey everyone! I have a great treat for you on this Wednesday morning! Today I have a wonderful guest post by Colin Folconer where he discusses Cleopatra and her ever changing face throughout history. At the end of this post you will have a chance to win a copy of his book When We Were Gods. So enjoy! Queen Cleopatra the Seventh of Egypt - now just Cleopatra to you or me - has fascinated writers, artists and film directors down the centuries. She has been variously portrayed as virtuous suicide, inefficient housewife, exuberant lover, professional courtesan, scheming manipulator, and femme fatale. Was she Shakespeare’s cruel and lazy siren, Shaw’s man-eater or Taylor’s alluring beauty? It is hard to really find the truth when her legend began with a lie. It was formulated in her own lifetime by her enemies' propaganda in order to discredit her lover Mark Antony. Antony’s rival, Augustus, claimed Anthony had become so besotted with the Queen of Egypt that she had turned him into little more than a handbag. By denigrating Antony to his fellow Romans as a hedonist and a traitor he won their support in his war against him and eventually destroyed him. And so Cleopatra was cast in Roman eyes as the dangerous feminine, the reflection of everything that men both desired and feared. She was, in other words, a reflection of the age,and she continued to mirror social mores forever from then on. In the fourteenth century, for example, Chaucer painted her as the very paragon of feminine virtue; the proof of her goodness being that she didn't wish to outlive her man! That was an age when love-matches were rare and widowhood the only condition in which a woman could be truly independent, so Cleopatra's great virtue, it seemed, was that she didn’t want to live longer than Anthony did. So she has not always been the great seductress nor was her affair with Anthony the byword for passion and recklessness. By the eighteenth century, for example, when the American and French revolutions turned established orders on their head, her story had devolved into the clash between rival systems of government. Cleopatra was transformed into an icon of political oppression, not just a bad girl with a nice tan. It was the artists of the colonial era who painted her as a siren in harem pants, manipulated for propaganda purposes into a dusky Lady Gaga lolling indolently on a divan. She was the terminally decadent Oriental culture waiting for her redemption from a benignly virgin western power. This image of her persisted to the nineteen thirties and led Cecil B de Mille to offer Claudette Colbert the role of Cleopatra with the words: "How would you like to play the wickedest woman in history?" By the time of the notorious 1963 movie with Elizabeth Taylor and Richard Burton the tragedy of her reign had devolved into history's best-ever holiday romance. So did I do her service or disservice in my novel about her life, WHEN WE WERE GODS? My own intention was to focus on her personal wit and daring; one is imagined, the other well documented. If there is scandal in the book - and it certainly has its share - it is provided by Caesar and the irrepressible Mark Anthony. Cleopatra herself lived a reasonably chaste life. She only had two husbands - not hers, admittedly - though she did marry them later. But in certain things I too fell victim to the dictates of the age. I discovered, for instance, that there was a very good chance that Cleopatra was fair-haired and told my editor that I intended to portray her that way. She reacted with horror and vetoed the idea. "But why?" I cried piteously. "My dear," she cried back into the phone. "You can't have a blonde Cleopatra. It flies in the face of history. Haven't you seen the movie?" WHEN WE WERE GODS, is now re-released on Kindle US, Kindle UK and for all other formats on Smashwords for $2.99. Arrestingly beautiful and fiercely intelligent Cleopatra VII of Egypt was barely more than a girl when she inherited the richest empire in the world - one that stretched from the scorching deserts of lower Egypt to the shining Mediterranean metropolis of Alexandria with its famed library and lighthouse. Imperiled at every turn by court conspiracies and Roman treachery, the young Queen was forced to flee Alexandrias and live in exile while a foreign army overran her city and her own family plotted her downfall. With nothing to lose, Cleopatra sought a partnership with the only man who could secure Egypt's safety: Julius Caesar, a wily politician and battle-hardened general with a weakness for women. The result was a passionate love affair that scandalized Rome and thrust Cleopatra into a world of deadly intrigue played for the very highest stakes - a world she would continue to mesmerize and manipulate even after Caesar was gone. Colin has so kindly offered up two copies of his book When We Were Gods in either the Kindle or Smashwords version. This is an INTERNATIONAL giveaway, which ends August 28th at 12:00 a.m. So sorry for the delay on announcing the winners. I have been very busy with work and family things. Please help me congratulate the 3 lucky winners of three amazing books! It was a characteristically bleak autumn afternoon in Northumberland as I sauntered along the tumbled ruins of Hadrian’s Wall. After an obligatory imagining of myself kitted out in legionary armour, barking out orders to my cohort, I sat down to take in the landscape. I tried to envisage the rolling hills in the age when the auxiliaries of Britannia would have lined this ominous frontier and garrisoned the forts, milecastles and watchtowers. I imagined a firm and seemingly eternal signpost shouting out to all and sundry ‘This is Rome and she’s here to stay!’. Yet now I could see only the squat remains of foundations and surrounding rubble and the Romans were long gone. A question entered my thoughts, demanding to be answered: how had the greatness of Rome faded from the invincibility of the pax romana to this? Fast forward a few years: I was strolling along the inner tier battlements of the Theodosian Walls of Constantinople/Istanbul (or more accurately I was tentatively inching along them and trying not to look down – they’re pretty high up and a bit crumbly) around the Golden Gate area. The structure extended north into the smog of the city, sentinel-like towers standing empty but eerily defiant after fifteen hundred years. The place was electric, the air crackling with history and I felt that hunger for an answer again: how could the Roman and Byzantine grip on Europe, Western Asia and Africa have dwindled to nothing, leaving behind a behemoth-like architectural carcass like this? Having done my reading I now know the textbook answers to the two questions above, but have been left with something far more valuable: a sustained intrigue, nay obsession, over the decline from the pax romana to the post-Roman world and the real answers to these questions. While the order, prosperity and pristine legions of the high principate are a fascinating blend, I find it somewhat too perfect. What really fires my imagination is the 3rd century AD and onwards, an age which sees Rome’s forts and cities decaying, her pagan ideals being swept into history by Christianity, her economy stagnating and her legions thin, scattered and all-too-mortal. What events could have occurred in this era that have since been lost to the ghosts of the past, echoing along the battlements of these walls and fortifications? What of the people of these times, they would have had to live with the reality that greatness was slipping away from them while they still clung to the ideals of their recent ancestors. And then there were the ‘barbarians’; with the Goths, Vandals, Franks, Alans, Parthians and Huns just a selection of the powerful and now militarily equal peoples pressing relentlessly on the empire’s borders, fiery conflict and desperate and heartfelt emotion must have been rife. So all this has me jilting the perfection of invincible Rome and falling for the complexity of her flawed descendant. Perhaps it is my admiration for the spirit of the underdog that nudges me this way and I feel that one day a psychiatrist might confirm that. Whatever the reason I’m just grateful for what has turned out to be a perpetual fuel for my writing. And even now when I visit the ruins, I’m still seeking true answers to those questions that demand to be answered. 376 AD: the Eastern Roman Empire is alone against the tide of barbarians swelling on her borders. Emperor Valens juggles the paltry border defences to stave off invasion from the Goths north of the Danube. Meanwhile, in Constantinople, a pact between faith and politics spawns a lethal plot that will bring the dark and massive hordes from the east crashing down on these struggling borders. Gordon has kindly offered up three copies of his book Legionary and the winners get to pick what format they would like to read it in! The two choices are either the hard copy version or the kindle version. This giveaway is open internationally and it ends August 23rd at 12:00 a.m. If you have a book you would like me to review or promote please visit my review policy for information. I also do guest posts, giveaways, & interviews. Just copy the image info and paste it onto your side bar & it should work.